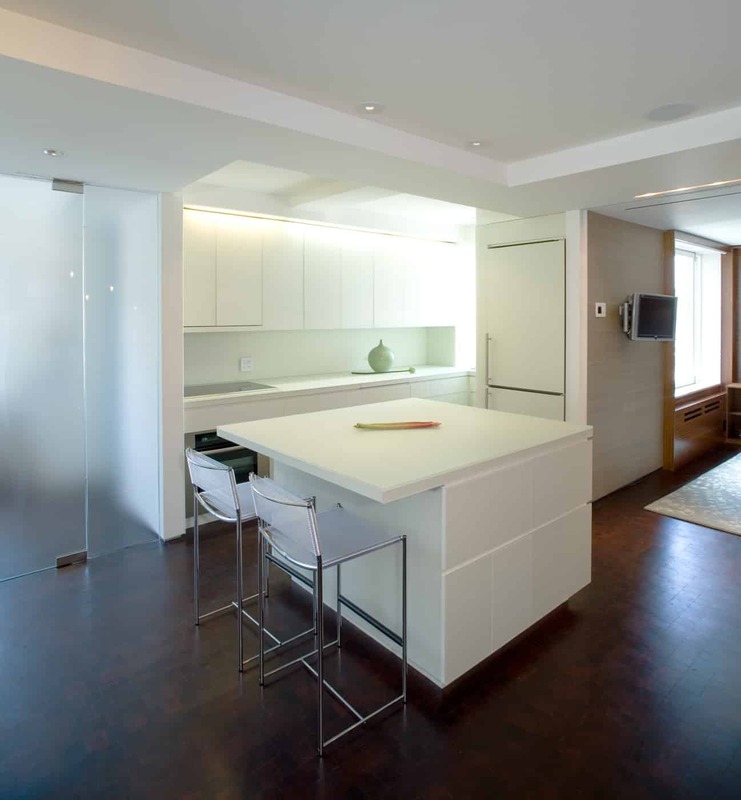 This was a gut renovation of a 1,400 square feet apartment off Madison Avenue with amazing views of the Guggenheim Museum and Central Park reservoir. The client, Peggy Flaum had spent much of her life in the upper reaches of New York’s art and creative business worlds, and she needed space for herself and her then college-age daughter, an occasional resident. 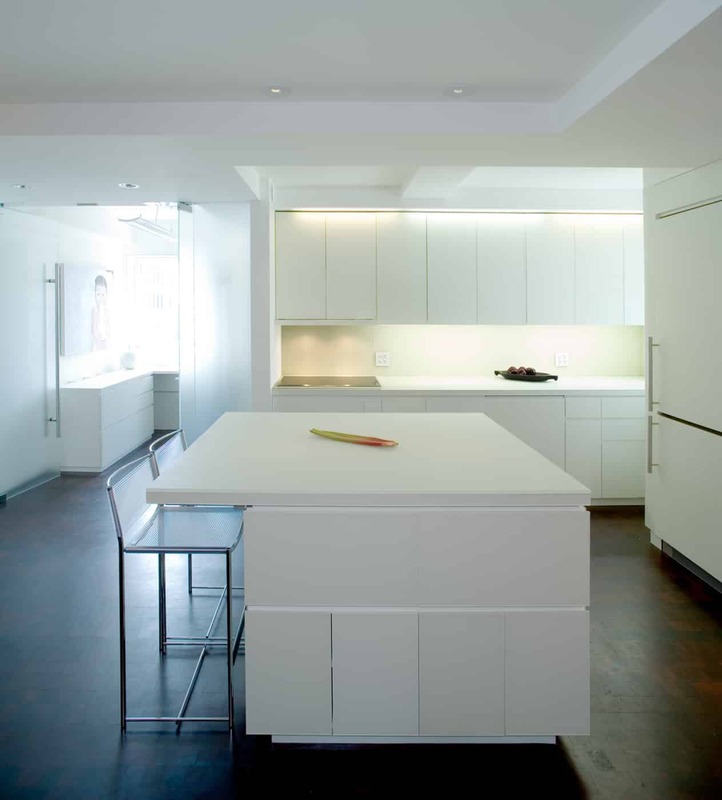 The resulting design created space and serenity for a client exploring new creative avenues such as painting.